Welcome to the UPLB Museum of Natural History! 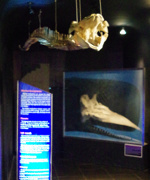 The Museum, established on September 30, 1976 by the University of the Philippines is a productive and multi-awarded research and service organization. What We Do we are happy to serve you! Our curators and core staff conduct basic researches and document Philippine biodiversity. We serve as a repository of all Philippine biota. Love biodiversityBe a nature warrior! We promote biodiversity and natural resources conservation through education and information dissemination. We are continually documenting efforts done since 1908 by the university's men and women. Caves in the Philippines and the biodiversity they nurture and protect are still undocumented and yet to be fully known. We are leading the way to understand cave biodiversity in key sites so that they will be better used and protected. Our more than 7,000 islands and islets are home to diverse communities of species yet to be studied. We are initiating studies which will help island communities appreciate their natural resources. Promoting and educating the public on the Philippines' rich flora and fauna is one of our key goals. We are continually building on our collections and presenting them through our dioramas and exhibit displays. This is a simple yet meaningful statement from Dr. Terry Gosliner of the California Academy of Sciences who led the expedition on the Verde Island Passage, delivered at the 2015 celebration of the World Ocean’s Day. What he said about the country’s biodiversity is something that Filipinos can be proud of, beyond his words, Filipinos should really be concerned. 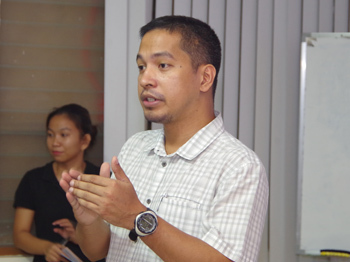 Forensic dipterology (the study and use of two-winged insects or true flies in scientific methods or investigations to solve crime) as a science and its prospects in the Philippines was the subject of the UPLB Museum of Natural History’s latest Biodiversity Seminar held 17 June 2015 at the UPLB MNH Conference Room. Presenting to nearly 60 people during the seminar, guest speaker Socrates D. Letana from the Institute of Biology, UP Diliman also talked on natural history collections of flies and their importance in forensics. 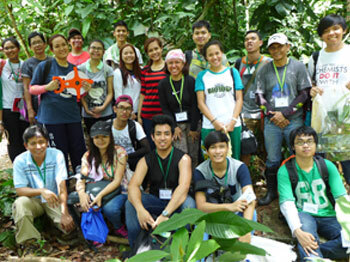 Thirty-five college students from Adamson University, Divine Word College- Legazpi and Southern Luzon State University joined and completed this year's edition of the "Summer Short Course on Biodiversity for Beginners: Methods and Analysis for Biodiversity Field Surveys" held 16-22 May 2015 at the UPLB Museum of Natural History. According to James DV. 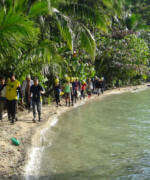 Alvarez, one of the course coordinators, the participants were trained to understand, through lectures and fieldworks, the concepts and principles underlying and related to biological diversity. The Museum of Natural History paid tribute to the Father of Philippine Wildlife Conservation, Dr. Discoro Siarot Rabor, by holding its first Rabor Day last May 18. 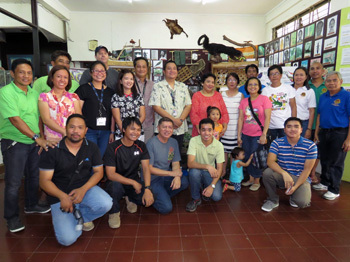 The celebration was timed with the 104th birth anniversary of the famed wildlife biologist and in observance of May as the National Heritage month. 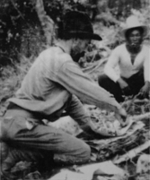 In an interview, MNH Director Juan Carlos T. Gonzalez said that "the Museum prepared a month-long exhibit on Dr. Rabor with a display of some of his priceless collections at the Museum lobby." "Visitors will have the extraordinary experience of seeing in person some of Dr. Rabor's collections which are not usually seen by the public," Gonzalez said. 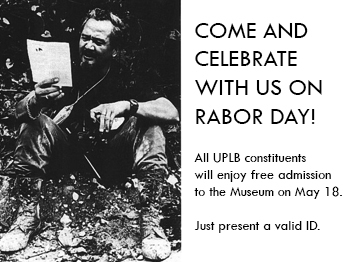 UPLB faculty, staff, students and alumni can visit the UPLB Museum of Natural History for free this coming May 18 (Monday), 2015. All they need is to present a valid UPLB or UPLB Alumni Association ID at the entrance. May 18 marks a new special day for the Museum as it has been designated by management as Rabor Day, in honor of Dr. Dioscoro S. Rabor (1911-1996), considered as the Father of Philippine Wildlife Conservation. Rabor's birthdate is May 18, and this Monday will be his 104th birth anniversary. Myrmecologists David Emmanuel M. General and Perry Archival C. Buenavente of the UPLB Museum of Natural History and Philipine National Museum, respectively, recently announced the formal description of a new ant species discovered in the forests of Palawan Island. In an article published in India-based journal HALTERES (Vol 6, 2015, pp. 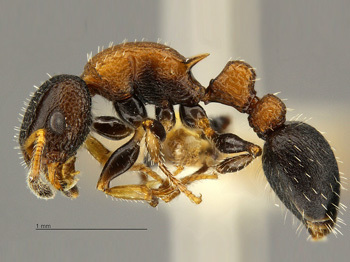 56-62), the two ant specialists described Romblonella coryae sp. n. from the primary lowland rainforest of one of Palawan's highest peaks, Cleopatra's Needle. The researchers named the new ant R. coryae sp. n. in honor of the late former Philipine President, Corazon "Cory" C. Aquino. 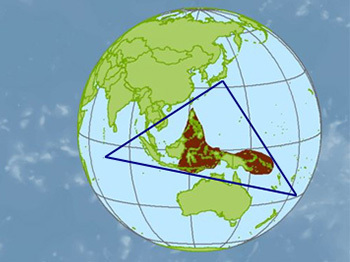 "It is only but fitting that a genus named after a Philippine island has a species named after a modern Filipino hero," the researchers wrote.